Oil prices settled higher Tuesday as evidence that OPEC oil producers fulfilled their pledge to hold back production in January helped prices to recoup some of their recent losses. However, lingering concerns that rising output in the U.S. could threaten efforts to balance the crude market weighed on investors’ psyches, capping gains ahead of weekly data on U.S. petroleum supplies. March West Texas Intermediate crude settled at $53.20 a barrel, up 27 cents, or 0.5% on the New York Mercantile Exchange. April Brent crude, the global benchmark, rose 38 cents, or 0.7%, to end trading at $55.97 a barrel on the London ICE Futures Exchange. 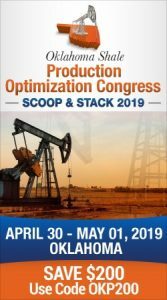 The Energy Information Administration will release its weekly data report on U.S. crude production and stockpiles Wednesday morning. The American Petroleum Institute will issue its own inventory data late Tuesday. 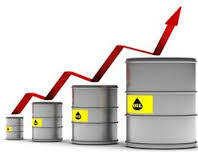 Analysts surveyed by S&P Global Platts indicate domestic crude oil stocks are likely to expanded by 3.25 million barrels for the week ending February 10. On Monday, OPEC’s data revealed the group’s January production declined by 890,000 barrels a day from the previous month to 32.14 million barrels a day. The drop indicates a 90% compliance level so far by producers who had agreed to curb production. Meanwhile, March natural gas finished at $2.905 per million British thermal units on the New York Mercantile Exchange, down 3.9 cents, or 1.3%, with prices holding ground at their lowest levels since mid-November.